Cultural Code: TGH TP what's this? 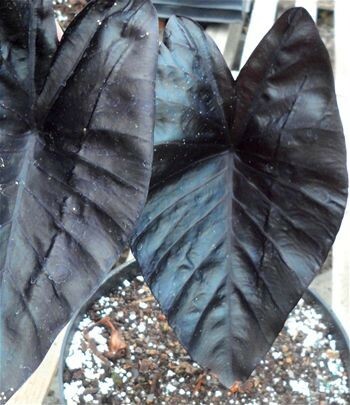 This dwarf colocasia, only reachesabout 2 to 3'. It has a clumping nature in growth. 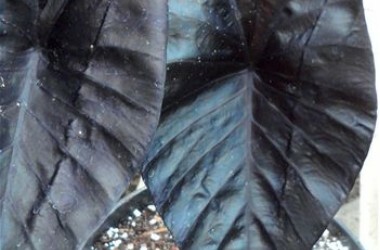 Each leaf is a beautiful, extremely dark black to metallic blue or purple, depending on how the light hits it with a stunning maroon underside. You may order now but it shipping is on Hold for Spring of 2019 for these.